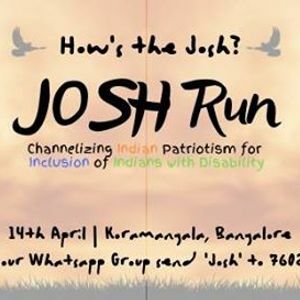 Josh Run is India' first run which focuses excursively on Inclusion of Indians with Disability. Bangalore is now home for Lakhs of persons with disability as the city holds highest number of job opportunity to graduates with disability. All the runners will be given Medals and Certificate on Completion of Running.